Editor’s note: My friend Gerald submits the following on a vital subject for basic survival. Lead, Cadmium, Uranium, Mercury in our drinking water? 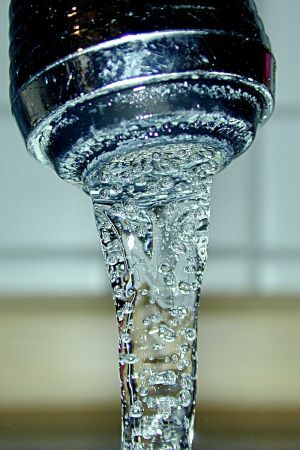 Awful to think of the above metals in our drinking and cooking water is it not? The writer runs everything through his beloved Black Berkey filter. But it could be time to look into making a little water still? In Missouri where I live, “Get the lead out” is more than a figure of speech. Arsenic may be a problem, too. Mercury, airborne from coal burning electric plants, is polluting streams and lakes in many localities. If there is anything positive about such substances, it is that they can be left behind through the evaporation of the water we wish to purify, through the simple means of a still. We looked up the beginning of a simple still with an online search for a length of stainless steel tubing at Online Metals. They are a source of metals in sheet, bar, pipe and tube form, in small quantities. They have technical information on the materials they list, including various metals and plastic. Has anyone made a still from a pressure cooker? Even a tea kettle may have possibilities. There is little pressure involved and a little steam escaping is not a problem. Looked up rubber stoppers and Tygon tubing also. Amazon has them listed. You can buy the stoppers with or without holes. Tough, heat resistant Tygon has been around a long time, since the 50’s. If you soften the ends of it in boiling water you can slip it over the ends of metal or glass tubing. When it cools and contracts you have a tight connection. If you are working with volatile substances in your water, such as petroleum products or oil you may discard the early distillates. It is like a water triage. The more volatile substances boil off first and my be discarded and put into a safe container. The midrange product will be your pure water, then as you approach the end of your run, pollutants with higher boiling points and, of course solids, are left behind. Perhaps a length (say 3 feet) of stainless steel tubing could be run through a section of water pipe, supplied with running water to cool it? Even cloths supplied with cooling water from a trough could be used? If there is any concern about mechanical carry over or substances with boiling points close to that of water coming over with your pure water, you may repeat the distillation process. Double or triple distilled water should leave the bad guys behind. As preparers we can hope for the best and prepare for the very worst, such as nuclear or chemical fallout. Filters do a wonderful job on bacteria. A still can separate out the chemicals, even the most hazardous. Note: for solar still kits and info, click here. For a couple of Amazon.com’s offerings for distilling water, click on either of the images below and order from the page which appears featureing that item.